Sumo Suit Rental | BounceGeeks.com Richmond, VA. Gather around everyone, it's sumo time! Sumo wrestling is an ancient tradition dating back thousands of years. Now it's your turn to join the legends of sumo and battle it out with your opponent! It's the ultimate in one on one competition! Just as much fun to watch as it is to play. 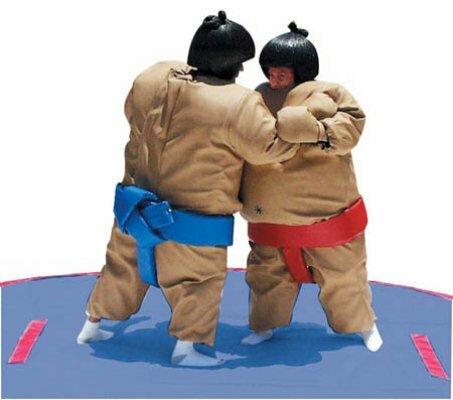 Our sumo wrestling rental includes 2 adult suits, 2 child suits, headgear and mats. 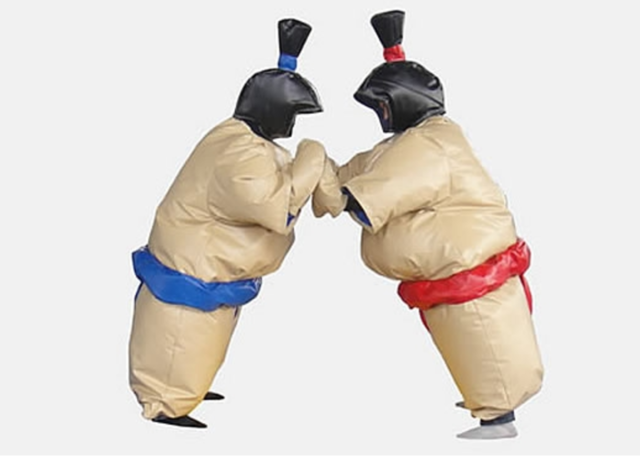 Our sumo suits are premium padded ones, so no need to inflate them.